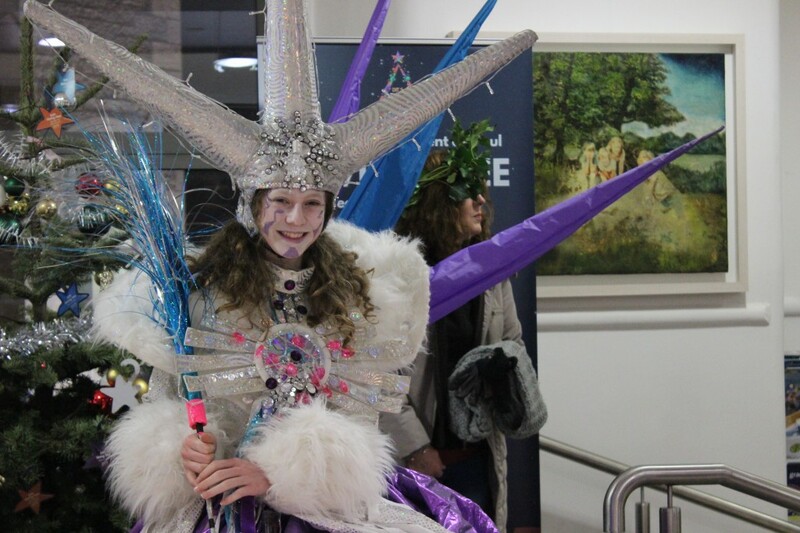 Curator: Smashing Times Theatre Co.
A community gathering on the darkest day of the year culminating in a colourful parade from Grangegorman campus to Smithfield Square. 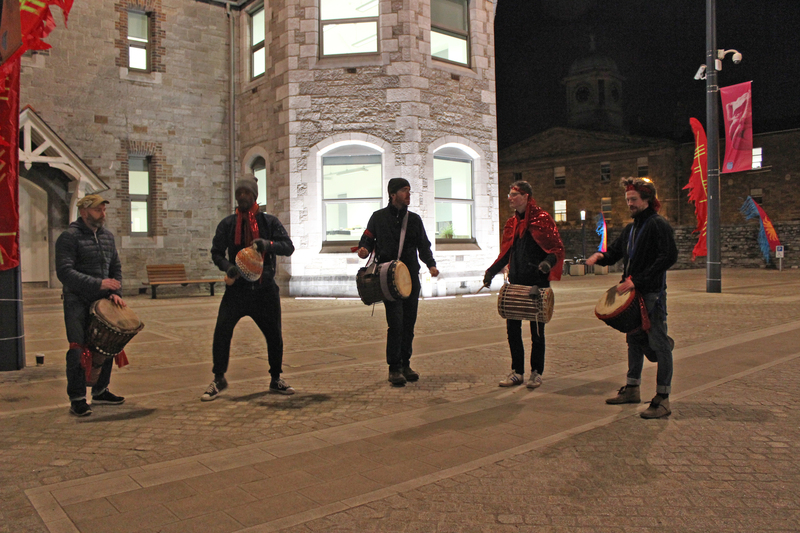 The 7th Annual City of Dublin Winter Solstice Festival took place in collaboration with DIT as part of ‘…the lives we live’ Grangegorman Public Art programme. 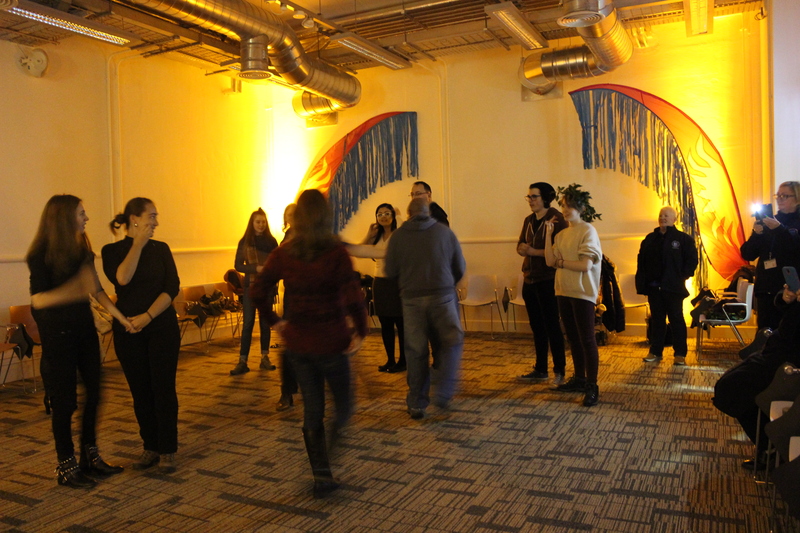 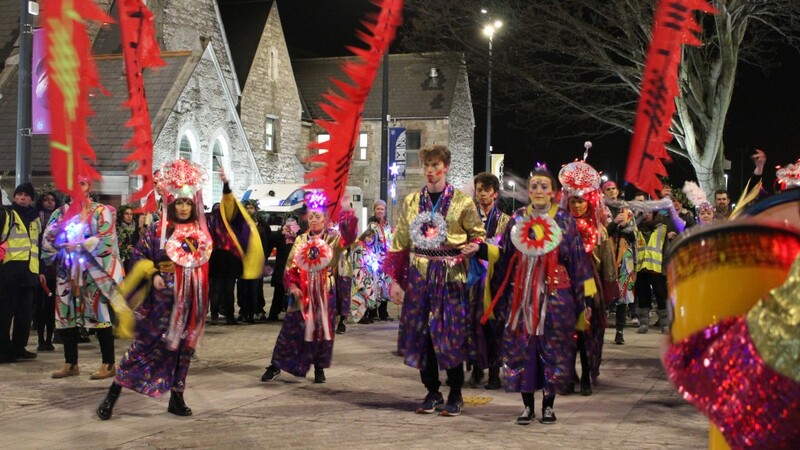 The free event invited everyone to take part in the festival which marked the shortest day of the year, 21st December. 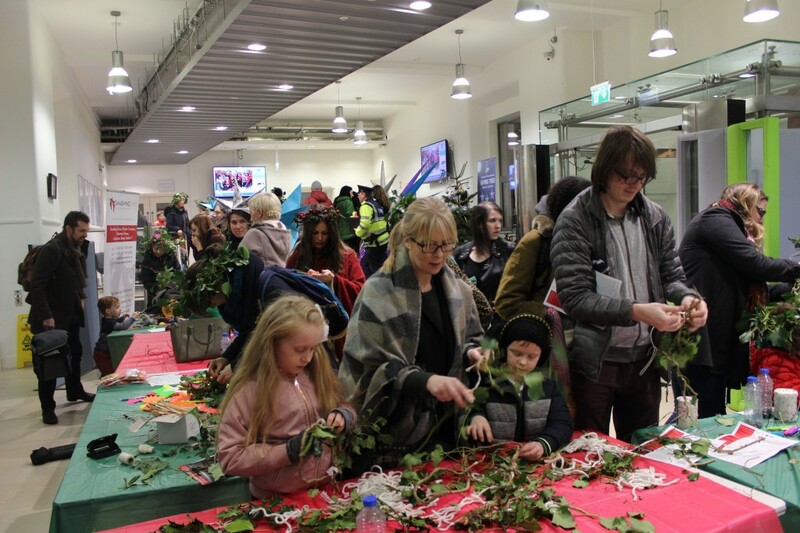 The event comprised of an indoor festival of wreath-making, face-painting, storytelling, poetry and ceili sessions and also an outdoor parade and fire ceremony. 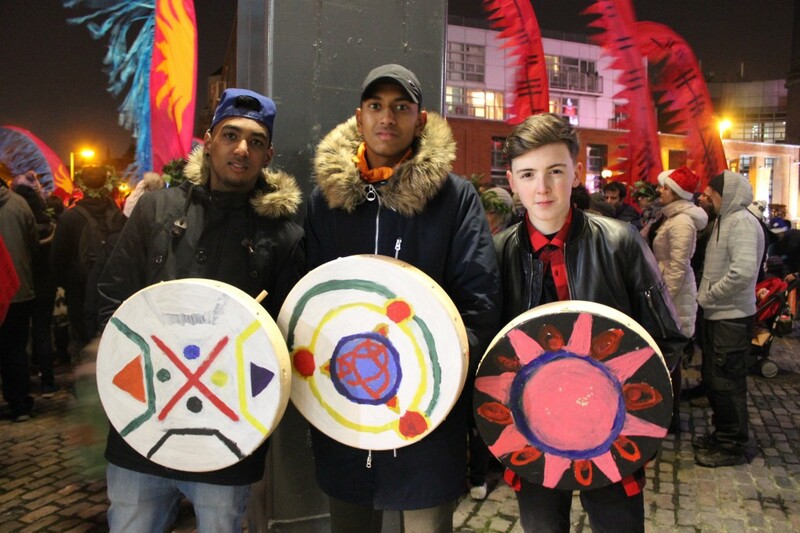 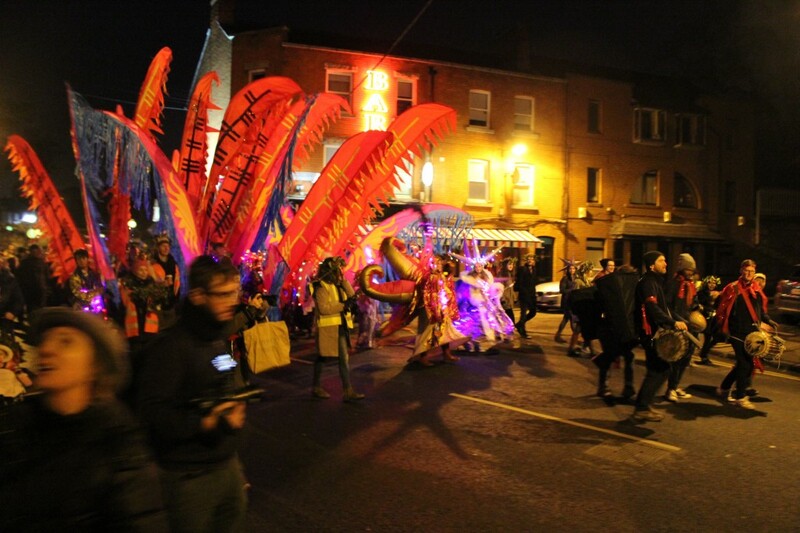 Everyone was invited to make their own battery lanterns, masks, rattles and decorative drums and join in on the parade which started in An Croí Grangegorman, travelling down Grangegorman Lower and danced its way into Smithfield Square. 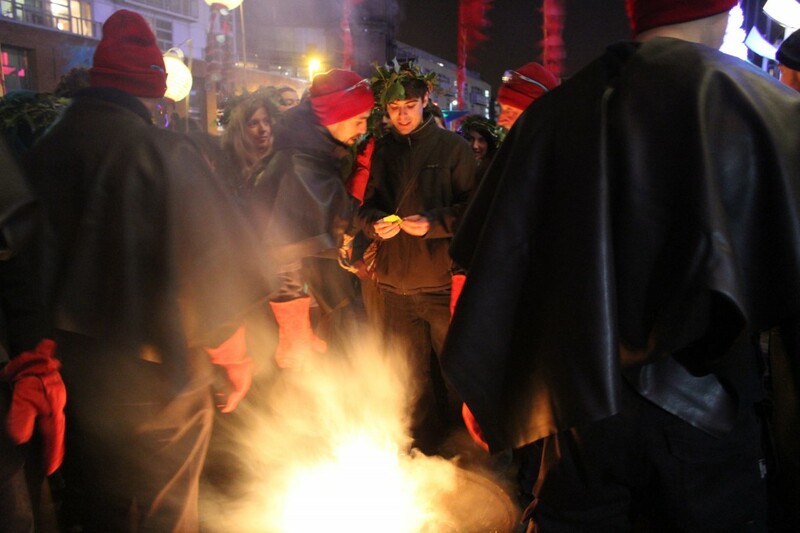 The ceremonial fire was lit in Grangegorman and carried by fire bearers as part of the parade. 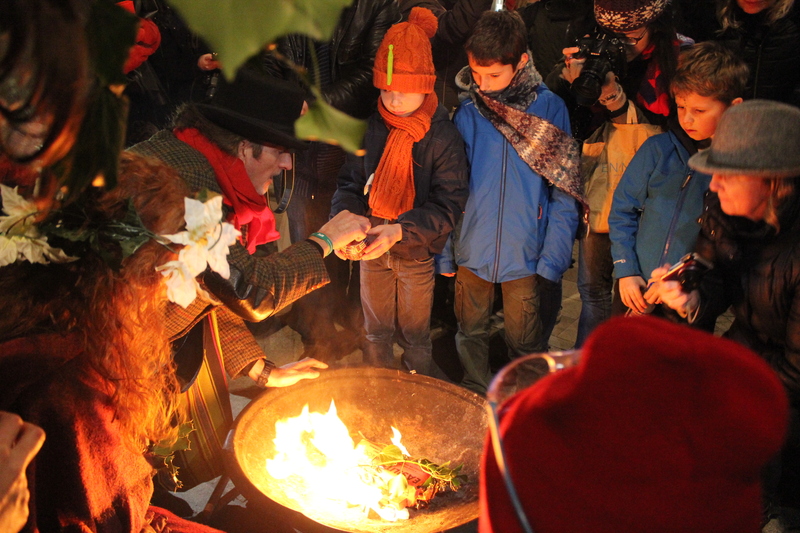 In the Square, people were invited to throw their widgets – their hopes for the coming year – into the flames in the traditional climax of the Winter Solstice Festival.